For children from birth through age five and the grown-ups who love them. Scheduling is a breeze with unlimited make-up classes within each session. 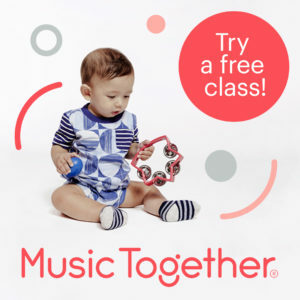 Free Music Together “Come & See” Classes This Week! Click below to register for free classes, as well as Spring and Summer Music Together fun! Sing, dance, play and learn with us! Children from birth through age five come to Music Together with their caregivers for a 10-week class full of learning and fun. Unlimited make-up class make scheduling a breeze! You’ll learn twenty-five Music Together songs and activities you can recreate at home. Your children will experience the contrast between galloping, slowing, sleeping, then jumping up with delight to gallop again in “See the Pony Galloping.” The whole class will treasure the opportunity to see one of the daddies’ best monkey impressions during “One Little Owl”. In addition to your weekly classes, your tuition includes materials for you to use at home and a family newsletter full of resources and music-making ideas, and online access to the curriculum through the Hello Everybody app. Choose any six class times from a variety of options throughout the summer. Reschedule your classes online at your convenience (within a 2-hour limit). Browse through the calendar above and then use the registration form to select specific dates. In addition to classes, your tuition includes materials for you to use at home and a family newsletter full of resources and music-making ideas, and online access to the curriculum through the Hello Everybody app. Contact us to arrange your free visit! Music Together art & logo design © 1992-2019 Music Together LLC. 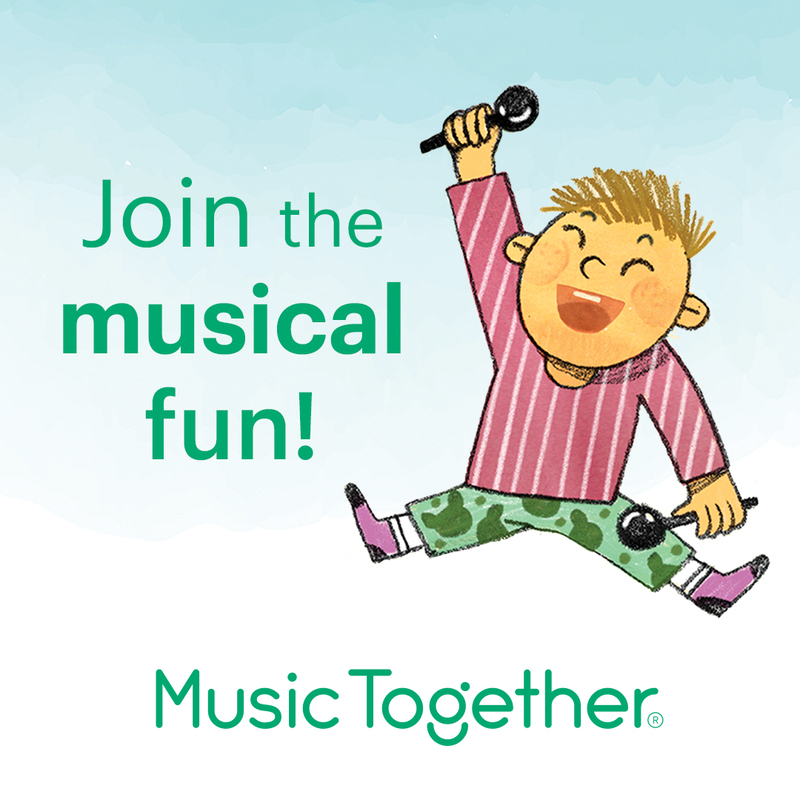 Music Together is a registered trademark. Mattix Music Studio is licensed by Music Together LLC.